I’m frequently asked by Americans how long I think the “recovery” will take. From my point of view, the answer is obvious, but then, I don’t spend my evenings watching American news programmes that have, since 2010, been endlessly claiming that a genuine recovery is right around the corner. It would seem logical to me that when the news anchor who cried wolf (claimed the imminence of recovery over and over with no result) proved to be either exaggerating, or just plain misinformed, my faith in him, his programme, and his network would diminish considerably. But, what if all the news anchors on all the programmes on all the networks claim that a recovery is unfolding? Surely, there must be truth in the claim. Most investors don't realize how quickly self-driving cars are advancing. In fact, by the end of 2017, fully self-driving cars could reach the mass market. This is the hottest trend in technology right now. And if you act quickly, you could make a fortune. I've used my decades of experience as a Silicon Valley executive to identify three key self-driving stocks that could make you a fortune this year. To be sure, there are some indicators that imply increasing confidence, such as a rising stock market and reports of new jobs being created. However, rather than take these reports on face value, we find that, since 2008, governments have been buying up stocks and even the companies themselves have been buying back their own stocks. In both cases, this has been done to give the appearance of a recovery, to hopefully trigger an actual recovery. It hasn’t worked. So, are these “indicators” evidence of a decline? Well, no, but neither are they evidence of a recovery. In attempting to predict the future of America’s economy, we should not look to peripheral symptoms, but to fundamentals. So, then, let’s have a look. For decades, American wages have risen above those of most other countries, making American goods more expensive without necessarily being better. Also, more and more people have been promoted on seniority than ability, causing inventiveness to lag. At the same time, state and federal regulations have expanded dramatically, creating a web of red tape and stumbling blocks that slowed production, increased the cost of production, and in some cases eliminated production. To ice the cake, the US corporate tax rate is the highest among the 35 industrialized nations. There’s an old saying that business goes where it’s most welcome and, of course, that means that both production of goods and money itself can be expected to do the same. As such, for quite some time, American manufacturers have built factories in other countries, where costs and regulations are more favourable than in the US. In addition, they’ve outsourced both production and services to companies overseas. Understandably, these forward-thinking manufacturers have gained the greatest market share in the US, as they’ve had the lowest prices and the greatest profits. The condition has existed long enough that very few of America’s most essential goods are actually produced in the US. More to the point, these industries are unquestionably not coming back. On the American news, much is being said about “making America great again” and a significant component of that concept is intended to be the return of American business. This is all well and good for political rhetoric, but for businesspeople, “once bitten, twice shy.” A token return may be implemented by some American companies seeking favour from their government, but a true return will not take place unless the fundamentals change. Literally thousands of recent regulations must be rescinded, and the government is loath to rescind what it sees as its power base. In addition, a major number of these regulations are based upon perceived environmental and humanitarian needs. The pressure to maintain these perceptions will not be going away and neither will the voters who support them. Several unstoppable forces are propelling Bitcoin and other cryptocurrencies higher in 2017, creating a one-time opportunity for life-changing gains. This Thursday, we're putting on a free cryptocurrency training webinar, and giving you a chance to claim a portion of $250,000 of actual Bitcoin. Click here to learn how to stake your claim. More importantly, the American public are unquestionably not going to accept the idea that their wages need to be lowered dramatically in order for them to regain competitiveness. As it is, whatever advances they’ve enjoyed in recent decades have been swallowed up by an increased cost of living that has not kept pace with wages. Of course, when we observe American news programmes, these fundamentals are not even discussed, yet they’re at the heart of any recovery, if one is possible. To make matters worse, the US is now the foremost debtor nation the world has ever seen. The petrodollar and the dollar as the reserve currency are both on the ropes. When one country prospers beyond the level of its competitors, it’s due to productivity. Whoever builds the better, cheaper mousetrap gets the cheese. When the reverse is true—when a country goes into a decline due to uncompetitive wages and excessive regulations and taxes—political leaders never suggest a true solution: sweeping elimination of regulations, major lowering of taxes, and dramatic cuts in wages. On occasion, token attempts at the former two are undertaken, but the latter is never even mooted. If it were, the villagers would storm the castle with torches and pitchforks. For this reason, no country ever reverses such a decline. It instead continues to decline until it crashes. And yet, although jobs are increasingly being lost in the US, major companies are closing down their retail outlets, and many industries are operating on the smallest of margins, the golden goose that was America’s exceptional long run of prosperity is still excitedly running around the farmyard. This gives the impression of a vibrant economy, but it is instead the final run of a dead goose. At present, the US retains much of the appearance of its former glory. It still displays its military might. And the public are not yet aware that the world has begun to dump US Treasuries back into the system, precipitating the necessity for a debt default by the US. But, as the dollar loses its power, as it’s presently in the throes of doing, it will no longer be possible to repay debt or to fund the military. Just as it’s true that a bird may often run around excitedly when its head has been chopped off, an economy tends to do the same. The reason for this can be found in one word: confidence. Confidence tends to remain until the general public grasp the reality of the collapse. It’s only when they realise that the economic jig is up that they freeze their spending. The golden goose then falls to the ground. This is not a new situation. It’s occurred countless times in world history. However, for many Westerners, it’s the first time they’ll witness it firsthand, on their own soil, and in their experience it will be the first time. Those who see it coming and prepare themselves will be those who fare best when it comes to pass. Editor’s Note: A handful of strategically positioned investors will make a lot of money during the coming collapse. You can be one of them. But you have to position yourself now… before the golden goose falls to the ground. 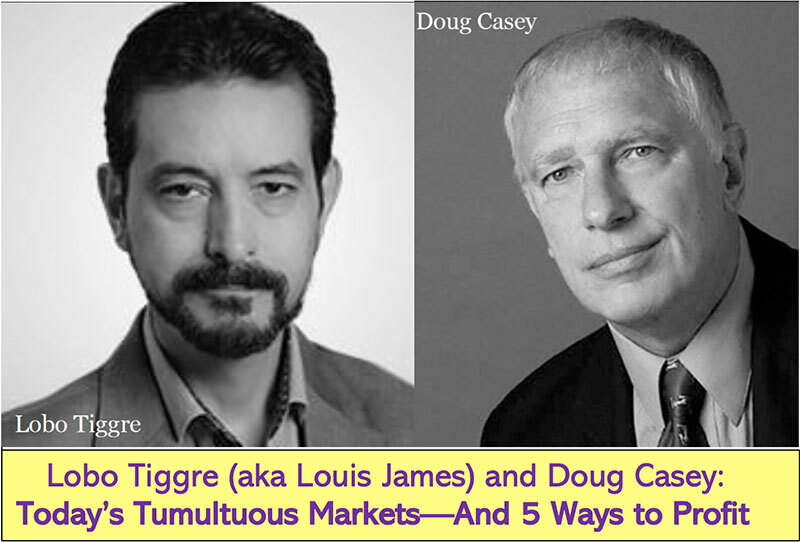 New York Times best-selling author Doug Casey can show you how to flip the coming crisis into a fortune. Click here for the details. Editor’s Note: A handful of investors will make a lot of money during the coming collapse. You can be among them. But you have to position yourself now… before the golden goose falls to the ground. 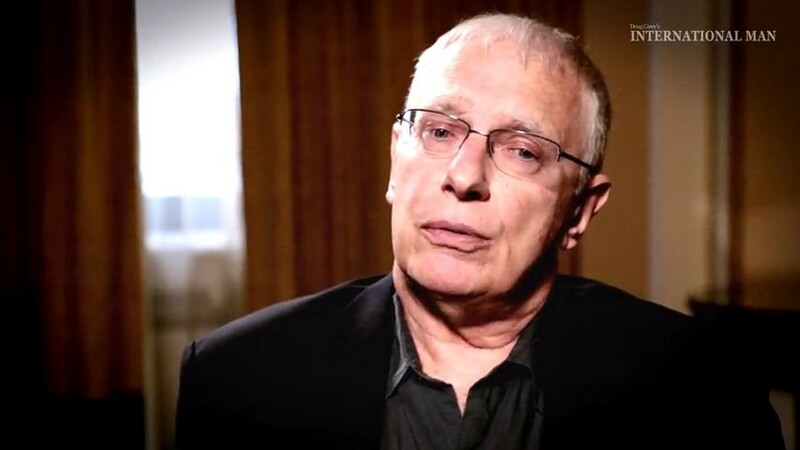 New York Times best-selling author Doug Casey can show you how. Doug is the world’s foremost expert on flipping a crisis into a fortune. He’s sharing his unique moneymaking strategies in this time-sensitive video. Click here to watch it now.